Elk Valley Snow Shepherds could not be more stoked to announce we have partnered with Pro-riders and Clinicians Stephanie Schwartz and Nadine Overwater to offer two full weekend of snowmobile coaching and skills development clinics to choose from this winter. Join for a family ride and BBQ to the Rolling Hills Cabin in honor of past club President Bob Arnott who was instrumental in many of the initial infrastructure and organizational elements of the FSA. Bob was an outstanding ambassador of the snowmobile community. Each year the FSA awards a scholarship in his name to a student pursuing secondary education in the trades who has demonstrated exceptional community spirit. 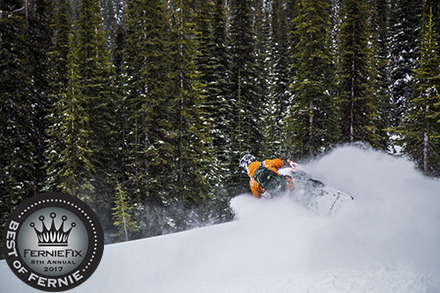 Join the Fernie Snowmobile Association for their 2018-2019 Season Opener! 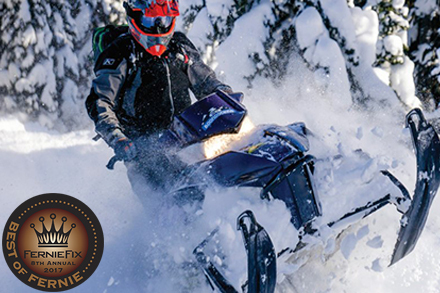 Discover proper riding techniques make sledding easy, like riding a bike. Sleds are complex machines, but there are some simple adjustments you can make to really change your ride and step up your game. Bar height, suspension and ski pressure are a good place to start personalizing your ride. More and more people are travelling to Fernie with snowmobiles in tow. For those of you into this growing sport, here were your 2017 picks! Although sledding was not always a part of her life pre-stroke it has definitely become a way of life in the chapters that followed. It's inspired her to keep pushing and to help others feel inspired by a sport that can be so intimidating. The final event of the Fernie sledding calendar, a great time to enjoy the trails. All ARE welcome. Details TBC - check back for more info. A great opportunity to meet other riders and enjoy the end of the season together.